Alan Snyder is director of Center For The Mind, an Australian research group that has published widely. He’s the co-founder of CreativityCap.com, a website that posits the possibility of accessing the ‘Mind’s Hidden Secrets’. Snyder and Chi had their subjects attempt to solve the problem while wearing an electrode cap. After a few minutes without brain stimulation, half of the subjects received stimulation while the other half received no stimulation. Here’s the interesting part: Whereas none of the subjects solved the problem before brain stimulation, more than 40 percent of subjects in the stimulation group solved the problem after being zapped. Talk about being struck by inspiration. In case you’re imagining some kind of Frankensteinian setup for electrifying people’s brains, it’s nothing like that. The technique, called transcranial direct current stimulation (tDCS), involves applying a weak electrical current to the scalp through a pair of electrodes on sponges. It’s a widely used technique that is considered safe, with minor side effects. 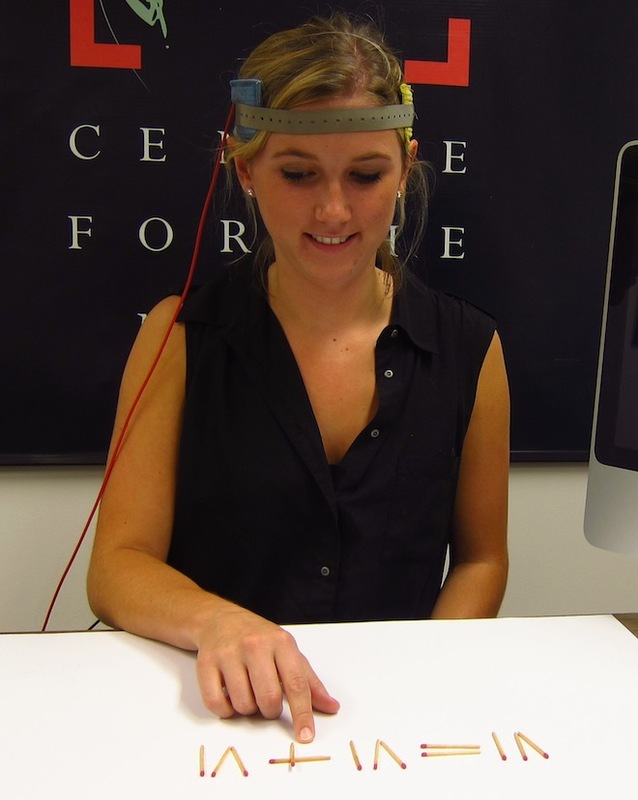 Other researchers have shown cognitive improvements using the same method applied to other brain areas, but Snyder and Chi are the first to use stimulation to mimic savant brain physiology. via Unlock Your Inner Rain Man by Electrically Zapping Your Brain | Wired Science | Wired.com. This entry was posted in Article and tagged Alan Snyder, Center for the Mind, Creativity Cap, CreativityCap.com by John. Bookmark the permalink.